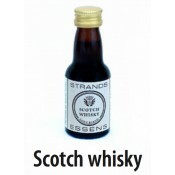 Characteristic of Strands is that our products are developed continuously, tastes improved and even the labels are updated. 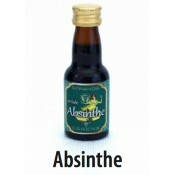 With the latest flavor enhancements, this has given an outstanding result. 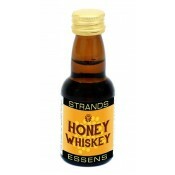 Try, mix and njuit of our finest essences. 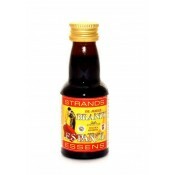 The raw materials for Strands essences are carefully selected and of the highest quality. All flavors come from the extractions of herbs, fruits and authentic spices are often mixed these with pure oils such as dill-oil and cumin oil. 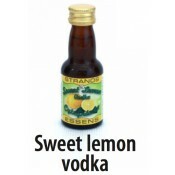 Highly alcoholic worm-wood beverage (upp to 70%) with taste of anis, most popular in late 19th- and early 20th- century. 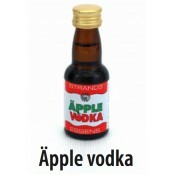 Apple Vodka Apple Vodka has a light, fresh apple flavour. Drink neat, in tall drinks, or mixed with carbonated drinks. Bison Vodka Zubrowka Makes 0,75 litres of a Polish vodka in the style of Zubrowka with the flavour of bison gras. Drink neat or mixed in drinks. 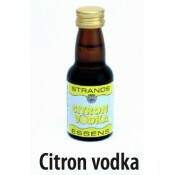 Citros Vodka Makes 0,75 litres of a Swedish lemon vodka. Drink neat or mixed in drinks.